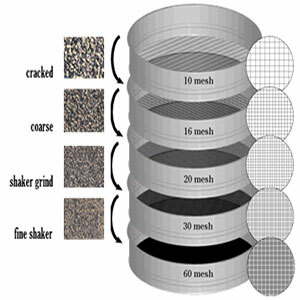 The ratio of the powder materials that passed through a sieve and remain on the sieve were studied. Uneven distribution of various herbs in market samples can greatly affect therapeutics. NIKU of Dr. JRK’s gives the complete therapeutic benefits of all 9 herbs to the patients due to its complete homogeneity. Unevenness in the distribution of various herbs in all the samples collected from the market was observed.